1. The modulation frequency of an AM radio station is 250 kHz, which is 10% of the carrier wave. If another AM station approaches you for license what broadcast frequency will you allot? 21. Two kg of a monoatomic gas is at a pressure of 4 × 104 N/m2. The density of the gas is 8 kg/m3. What is the order of energy of the gas due to its thermal motion ? 25. 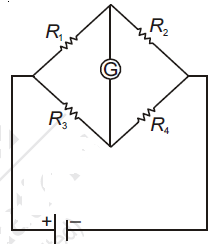 Consider a Young’s double slit experiment as shown in figure. 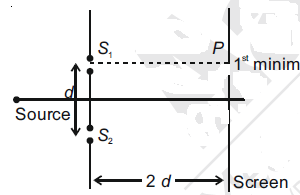 What should be the slit separation d in terms wavelength λ such that the first minima occurs directly in front of the slit (S1)? 26. A particle starts from the origin at time t = 0 and moves along the positive x-axis. 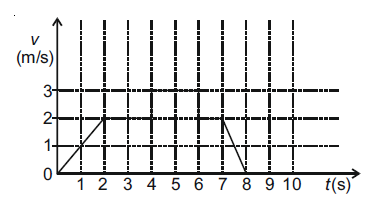 The graph of velocity with respect to time is shown in figure. What is the position of the particle time t = 5 s? 29. The eye can be regarded as a single refracting surface. The radius of curvature of this surface is equal to that of cornea (7.8 mm). This surface separates two media of refractive indices 1 and 1.34, Calculate the distance from the refracting surface at which a parallel beam of light will come to focus. 30. The diameter and height of a cylinder are measured by a meter scale to be 12.6 ± 0.1 cm and 34.2 ± 0.1 cm, respectively. What will be the value of its volume in appropriate significant figures? 9. A reaction of cobalt (III) chloride and ethylenediamine in a 1 : 2 mole ratio generates two isomeric products A (violet coloured) and B (green coloured). A can show optical activity, but, B is optically inactive. What type of isomers does A and B represent? 13. What will be the major product in the following mononitration reaction? 16. Which of the following tests cannot be used for identifying amino acids? 22. What is the IUPAC name of the following compound? 29. 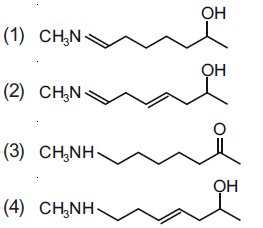 Which is the most suitable reagent for the following transformation? 5. The plane which bisects the line segment joining the points (–3, –3, 4) and (3, 7, 6) at right angles, passes through which one of the following points? P : 5 is a prime number. Q : 7 is a factor of 192. R : L.C.M. of 5 and 7 is 35. Then the truth value of which one of the following statements is true? (1) A hyperbola with transverse axis along the x-axis. (2) A circle with centre on the y-axis. (3) An ellipse with major axis along the y-axis. (4) A circle with centre on the x-axis. 14. On which of the following lines lies the point of intersection of the line, and the plane, x + y + z = 2? (1) An ellipse whose eccentricity is when r > 1. (2) An ellipse whose eccentricity is when r > 1. (3) A hyperbola whose eccentricity is when 0 < r < 1. (4) A hyperbola whose eccentricity is when 0 < r < 1. (1) Exist and equals 4. (3) Exists and equals 4/7. (4) Exists and equals 0. 23. Two vertices of a triangle are (0, 2) and (4, 3). 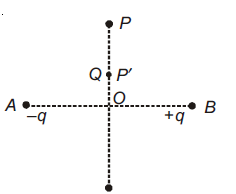 If its orthocentre is at the origin, then its third vertex lies in which quadrant? (1) One-one but not onto. (2) Onto but not one-one. (3) Neither one-one nor onto. (4) Both one-one and onto.